The Poster Collection depicts such areas as the development of the poultry industry, insect control, plant protection, and the role of agriculture in World War I. 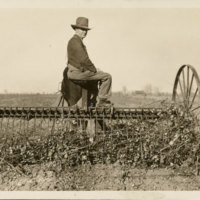 From increased production to seed selection to the conservation of farm products through careful storage, canning, drying, and preserving, these historic posters present unique documentation on past efforts to disseminate agricultural information at national, state, and local levels. 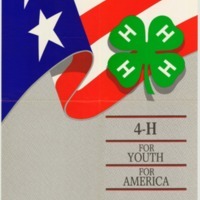 For more from the Poster Collection, visit our collection at the Internet Archive. These images reflect the broad range of materials in the library's Manuscript Collections. Each image is a digital reproduction of the original artwork or written text. See images from selected collections by clicking a collection name in the Exhibit Navigation bar. Featured image on left from Pink Bollworm Project Photograph Collection. To view all images from this collection, visit the collection page here. The following are digitized covers from Special Collections' Henry G. Gilbert Nursery and Seed Catalog Collection. The collection consists of over 200,000 American and foreign catalogs. The earliest catalogs date from the late 1700s, but the collection is strongest from the 1890s to the present. Each image is a digital reproduction of the original artwork. Click on each image below to view a larger image of that seed catalog cover. 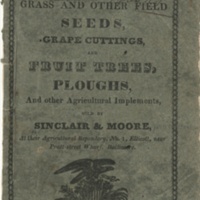 For more Nursery and Seed Trade Catalogs, visit our collection at the Internet Archive. 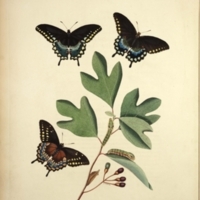 The following are digitized images or plates from Special Collections' Rare Book Collection. This collection is strong in a number of agricultural sciences and includes works by many great herbalists, as well as renowned works on flowers and fruits from both the 18th and 19th centuries. Each image is a digital reproduction of the original artwork or written text.